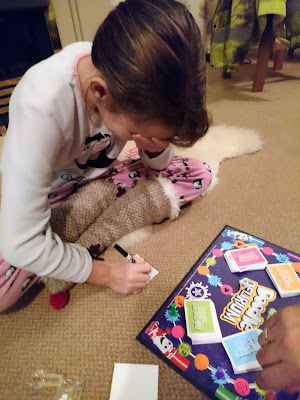 If you are looking for a family game for Christmas that is fun then Doodle Delirium from Crayola is the one to buy. All the family can play and create crazy models, draw crazy doodles, scribble riddles and practice their origami skills. The aim of the game is for your team mates to guess the word/person/saying from your creations and make their way to the finish line. It isn't as easy as it looks, but we had a lot of laughs making things out of clay, drawing with our eyes shut and trying to create awesome items out of paper (most of them did not resemble what we were trying to say). We can't wait till all the family are round at Christmas so that we can enjoy the game even more. It is such a great idea and you can really let your imagination get the better of you. 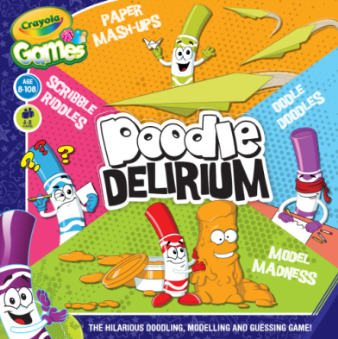 Doodle Delirium is available to buy from Amazon priced £14.89 and other national stockists. We were sent this product free of charge for the purpose of this review but the opinion is our own. This sounds like the perfect festive family game - look forward to hearing how it goes down with all the family at Christmas! I love the sound of this game - perfect for Boxing day fun! Oh this looks like fun! We are always looking for new family games we can all enjoy and this looks perfect! This would be great to keep the kids busy and happy. Looks fab. Ah yes the best part of Christmas is playing games. I love this part of Christmas with my family. I am sure he will have a blast!